Well all I can say is make sure you have plenty time when you start reading this as you won’t want to put it down until it’s finished! At first I wasn’t sure what was going on. Susan (or Suze) wakens in a locked room with no idea how she got there or how long she’s been there. She’s fairly sure she has been drugged. Most of the story is told in her words, her frantic thoughts as she tries to work out what has happened and how she can escape. There are also chapters told from the point of view of The Captor, an investigator, her daughter Cara and Cara’s friend Alice. 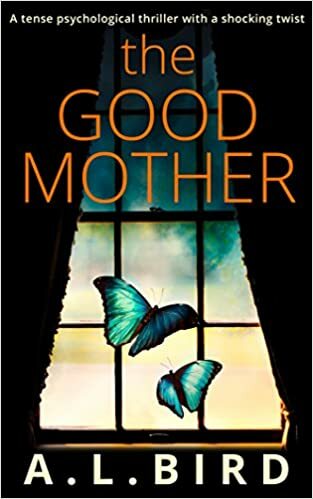 To her horror, Susan realises that her daughter is also being held in the room next door and the two begin to communicate secretly to plot their escape. This book is so cleverly written that it’s not until you have finished that all falls into place and you understand what has been going on with all the characters. As I was reading I was trying to work out what could possibly be happening. Who was The Captor and how did he know Susan? Who had Cara been meeting in secret and why wouldn’t her friend tell the school what she knew? What did The Captor want with Susan and Cara, what were his plans? Was the investigator all he seemed? Would Susan ever escape her prison and what about Cara? These were just a few of the questions buzzing around my head. Each time I thought I had worked out a possible answer, I realised that another part of the story meant I couldn’t be right! I’m off to buy this one straight away!